The Travelon Anti-Theft Heritage Backpack works equally well for travel and everyday use. It features a roomy main compartment with padded sleeve to hold to a 15.6 inch laptop. Two easy accesses, locking front compartments and organizer includes a zippered RFID blocking pocket. Anti-theft features have slash-resistant construction, locking compartments, slash-resistant adjustable straps will keep you and your belongings protected. Crafted in a durable cotton canvas with rich suede trim, matte nickel hardware and classic pinstriped lining. The Travelon Anti-Theft Heritage Backpack-Pewter has many exciting features for users of all types. You can extend the lifetime of your Travelon Anti-Theft Heritage Backpack-Pewter with the purchase of a FactoryOutletStore Factory Protection Plan. 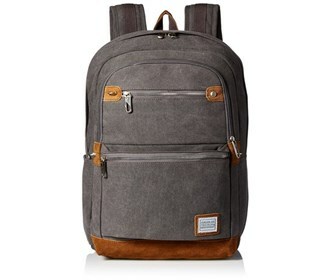 See the Travelon Anti-Theft Heritage Backpack-Pewter product video and gallery images above for more details. 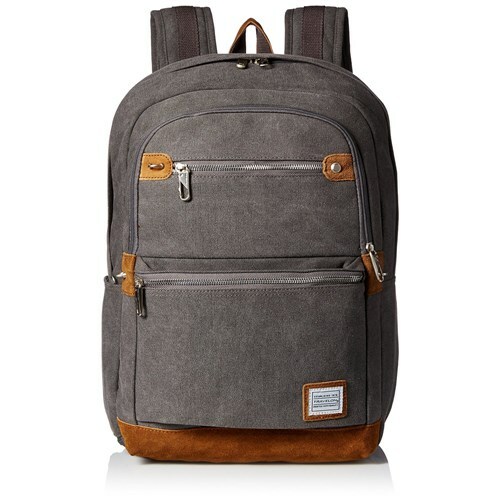 The Travelon Anti-Theft Heritage Backpack-Pewter is sold as a Brand New Unopened Item.